Ever thought about making the switch to an Instagram business profile? Perhaps as soon as you posted in a Facebook group asking for opinions you were overwhelmed by hundreds of comments. Some for, and some strongly against. It’s important that before you make the decision to switch to an Instagram business profile that you look at the facts and learn from the data that is already out there. Don’t worry – we’re not about to make this a number-fuelled snooze party. 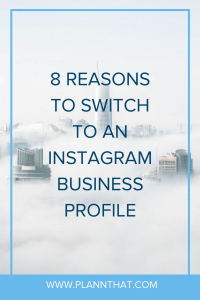 We’re going to share with you eight reasons to switch to an Instagram Business profile. This is based on data that will definitely make your eyes boggle. Keen as a bean? Let’s tuck into this blog post. 1. THE INSTAGRAM BUSINESS PROFILE INSIGHTS ARE GOLD! If you’re using Instagram for business it is incredibly important that you know exactly what kind of results you are getting from all of the effort, time, and money that you are putting into your content. Making the switch to an Instagram Business Profile will give you access to interesting data such as the location and age range of your followers, your Instagram Stories results and much more. PSSST -> If you’d like to find out which Instagram Hashtags give you the best results and exactly what time you should be posting based on your Instagram data, click here to download the Plann app for free. If you don’t have a business profile the only clickable area of your Instagram profile is your bio link. If you’re trying to run a business from a personal Instagram profile you’ll need to add your phone number and other contact details in your Instagram bio description. This is a big waste of very limited space that could instead be used to capture attention and promote your latest seasonal offers. Switching to an Instagram business profile means that you’ll be able to add contact buttons to your profile including a button for phone calls, a map button (great if you have a physical store!) and you’ll now be able to add an action button that links to third-party services like EventBrite and Acuity Scheduling to make online bookings and ticket sales even easier. Instagram is constantly testing new features on small groups. If you have an Instagram business profile, you are more likely to be chosen to test out new business features before they are rolled out to all users. If you want to be a part of the ‘in’ crowd with Instagram, there’s no point in hesitating. You should definitely make the switch to an Instagram business profile. 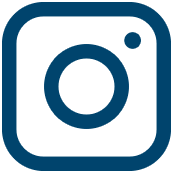 PSSST -> Here are some Instagram updates that you should know about! If you are a clothing boutique, beauty brand or interiors store and you often find that people and other brands mistake you for an Influencer or Blogger, having a business profile will take that awkward guesswork away. When you switch to an Instagram business profile you will be linking your Instagram account to a Facebook business profile. When setting up that business profile you will have chosen an industry that best suits your business type, and that industry will display on your Instagram business profile so when users land on your Instagram profile they’ll know exactly what you’re all about. 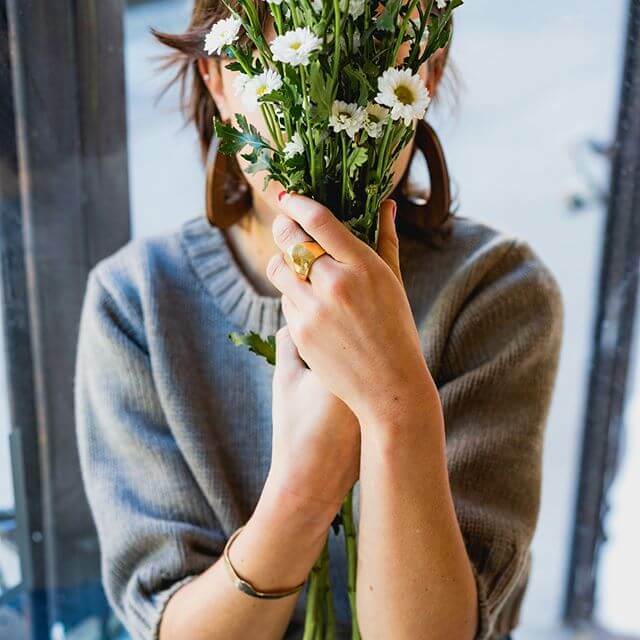 PSSST -> Here are our best Instagram growth tips for Fashion Brands! Perhaps you’ve heard that you need to have at least 10,000 followers to link to external websites using Instagram Stories? Well, it might be helpful to know that 10,000 followers isn’t the only roadblock between you and Instagram Story links. You’ll also need to have an Instagram business profile! PSSST -> We’ve got a whole bunch of tips to help you with your Instagram Stories, click here to have a read! Did you know that there are over 25 million active Instagram business profiles? Wowza! Surely if there are over 25 million active Instagram business profiles making the switch can’t be all bad. When you make the switch to an Instagram business profile one of the first things that you’ll notice is that you’ll have the option to set up Instagram ads right within the app. 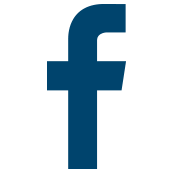 No need to go to your desktop and bring up Facebook’s ad manager to get things done. If you’re a business who wants to take Instagram Advertising more seriously, it is definitely worth making the switch to an Instagram business profile. If you’ve ever thought about working with Instagram Influencers to increase brand awareness, drive sales and get real results for your brand you should absolutely make the switch to an Instagram business profile. With an Instagram business profile, you’ll be able to set up a list of approved Instagrammers who you will partner with on campaigns. After doing this, when the influencer goes to share your branded content on their Instagram post they’ll be able to let the world know immediately that their content is sponsored. PSSST -> You shouldn’t be trying to trick your Influencer’s audiences into thinking the content isn’t sponsored, that could land you and the Influencer in some boiling hot water! One benefit to you as a brand for working with Influencers who tag their content as sponsored is that you will have access to that piece of contents insights. No need to ask the Influencer for the results – you’ll have access right from your own Instagram business profile. Woohoo! Are you excited to make the switch to an Instagram business profile? You should be. An Instagram business profile is going to totally change your life, and your business, for the better. PreviousPrevious post:8 Fashion Instagram Grids to Inspire YouNextNext post:What is a Good Instagram Engagement Rate?